The topic of immigration has made its way back to the forefront of national discussion the last few weeks, particularly in regard to President Trump’s “zero tolerance” policy, which has caused the left to lose their collective minds. Many Democratic lawmakers have since begun a campaign to abolish the Immigration and Customs Enforcement agency who they feel have not handled the various cases of deportation correctly. 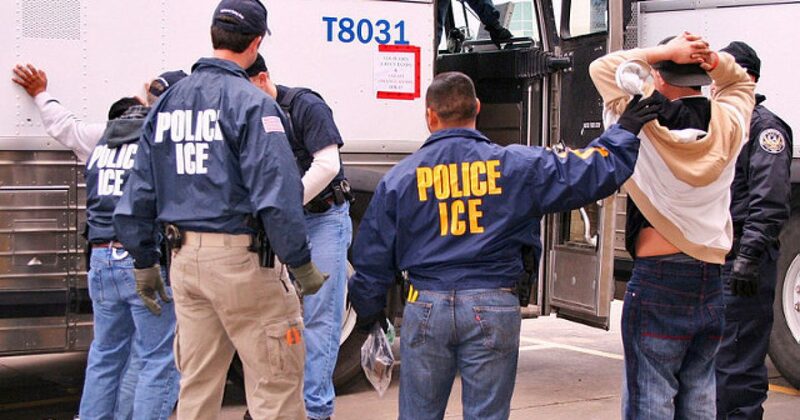 Unfortunately for the left, the majority of the United States doesn’t want to disband ICE at all, which will come as a major blow to their delicate egos, as they just assumed everyone would be on their side on this issue. A growing number of Democrats are calling for abolishing the federal Immigration and Customs Enforcement (ICE) agency, but even among voters in their own party, there’s not much support for the idea. Maybe that’s because voters think the government needs to be even more aggressive in deporting illegal immigrants. A new Rasmussen Reports national telephone and online survey finds that only 25% of Likely U.S. Voters favor getting rid of ICE whose duties include border control. Fifty-five percent (55%) are opposed. Twenty percent (20%) are undecided. Sixty-nine percent (69%) of Republicans and 53% of voters not affiliated with either major political party oppose getting rid of ICE. Democrats agree by a narrower 44% to 36% margin. Thirty-three percent (33%) of all voters believe the U.S. government is too aggressive in deporting those who are in this country illegally. But a plurality (46%) disagrees and says the government isn’t aggressive enough. Just 13% consider the current number of deportations as about right. So, since liberal politicians are servants of the people, shouldn’t they carry out the will of the majority and end their ridiculous opposition to ICE? That’s what democracy is all about right? Carrying out the will of the majority of people? Yeah, see, that’s why we’re a constitutional republic. The bottom line is that America is a nation of laws and those individuals who cross the border illegally have broken our law. Immigration policies exist to protect our citizens and our resources from those on the outside who seek to take advantage of our good graces. Sure, we all feel sorry for folks coming from oppressive countries, which is why we have an immigration system to begin with. We want those folks to come over, but through the proper channels. That’s not racist, that’s just smart.